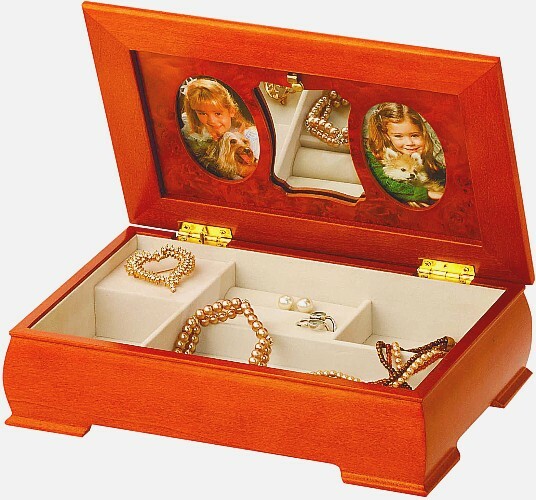 A beautiful wooden musical jewellery box with frames for photographs inside. This very pretty wooden musical jewellery box is an ideal present, the music plays when the lid of the musical jewellery box is opened. 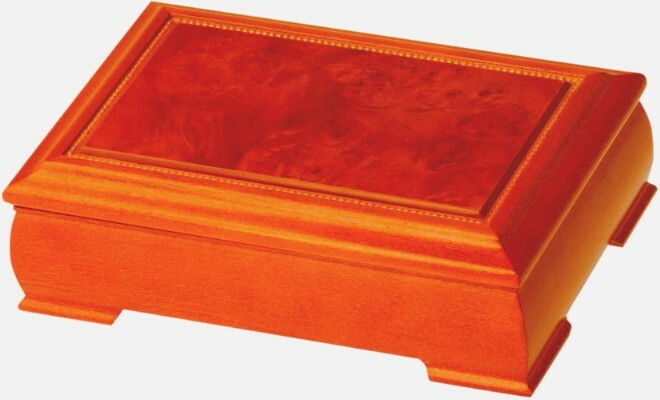 The box is in a satin finish. When the lid is lifted there is a central mirror and space for two photographs to be framed. The music box has a cream baize lined interior. It is fitted with a clockwork musical movement wound by a key on the bottom of the jewellery box.